At Yenzer Family Dental, we are dedicated to helping patients of all ages achieve and maintain their healthiest smiles in our state-of-the-art, comfortable dentistry practice. 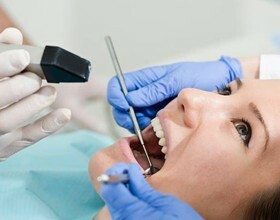 We incorporate the latest dental techniques and technologies to ensure we can provide high quality dental care free from stress and pain. Skilled Chesterfield dentist, Jeff Yenzer, DDS, stays at the forefront of the dental field completing continuing education courses on a regular basis in order to offer the most advanced dentistry services. One of the dental technologies we use most often is the iTero Element digital impression scanner system. This cutting edge dental technology streamlines the treatment process, ensures clear communication between our office and the dental lab, and reduces human error. If you’re ready to find out more about iTero or any of the other innovative dentistry technologies we use at Yenzer Family Dental, call to schedule your appointment in our Chesterfield dental practice today. We look forward to providing the care you need in our family-friendly dental office. The iTero system is a digital dental impression capture, smiles design, and treatment planning tool that is fully integrated with our office, dental labs, specialists, and other manufacturers. We use the iTero Element 2. This new digital system provides clearer images of the smile, full color scanning, and it even allows us to show you the potential outcomes of your treatment plan. How do we Use iTero? Using the new, smaller handheld wand, we capture 1000s of images of your teeth in just seconds. Traditional dental impressions are captured using putty. Patients bite down into molds that capture a reflection of their bite. These impressions need to be carefully captured to ensure effective treatment planning, but even when captured just right, they are often not precise enough to deliver the best results. iTero impressions are able to recreate the smallest pits and grooves in patients’ teeth, delivering flawless results. What are the Benefits of iTero Scans? How Does the iTero System Impact Invisalign Orthodontic Treatment? 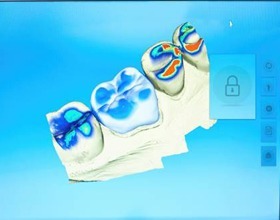 The iTero system allows us to capture digital impressions of teeth for Invisalign treatment planning. 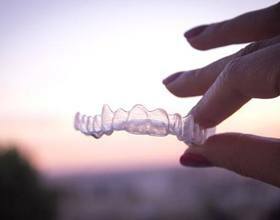 These digital impressions are then sent to the Invisalign lab where your custom alignment trays are crafted. Throughout the Invisalign orthodontic process, you will visit our office for treatment checkups. 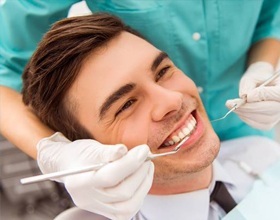 We can scan your smile at every step of the process to ensure your smile is moving according to plan and make changes to the treatment plan to ensure you achieve your desired end result quickly and comfortably.